Police in Sinoville, in the north of Pretoria, are trying to solve an eerie mystery after a tombstone of a man who died last year was discovered in the middle of a residential road at the weekend. 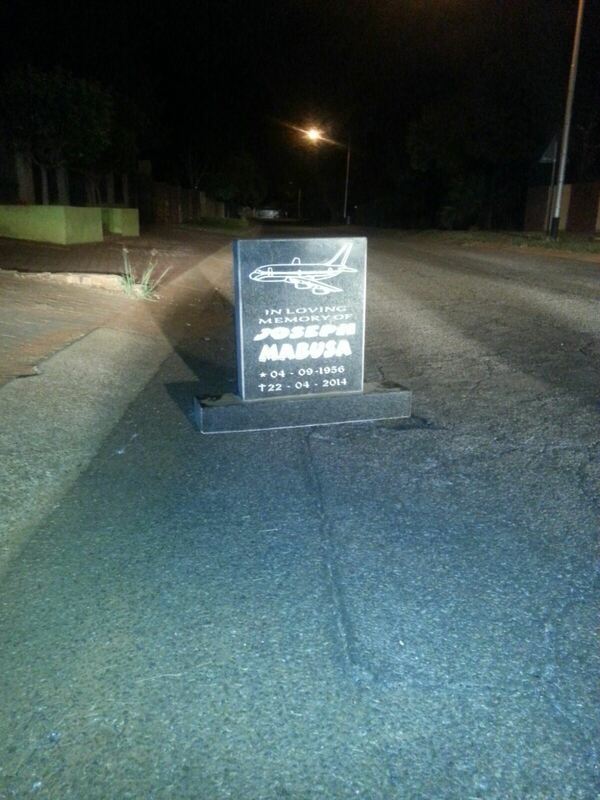 The tombstone seemingly belongs to a Joseph Mabusa, who died in April 2014, Rekord North reported. Police spokesperson Mirna Von Benecke said the tombstone was found on Kei Avenue in Sinoville. She said there was no visible damage to the stone. “We suspect it did not fall from a moving vehicle. We are not sure who it belongs to nor how it got there,” she said. The tombstone was removed and held at the Sinoville Police Station. Anyone with information on the tombstone is urged to contact Captain Verster on 012 543 8815.